Spend a day exploring, learning and nibbling in the fields, gardens and high tunnels of Cropsey Community Farm. A farm tour provides highly interactive education about sustainable organic farming and a farm or gardening project designed especially for you. 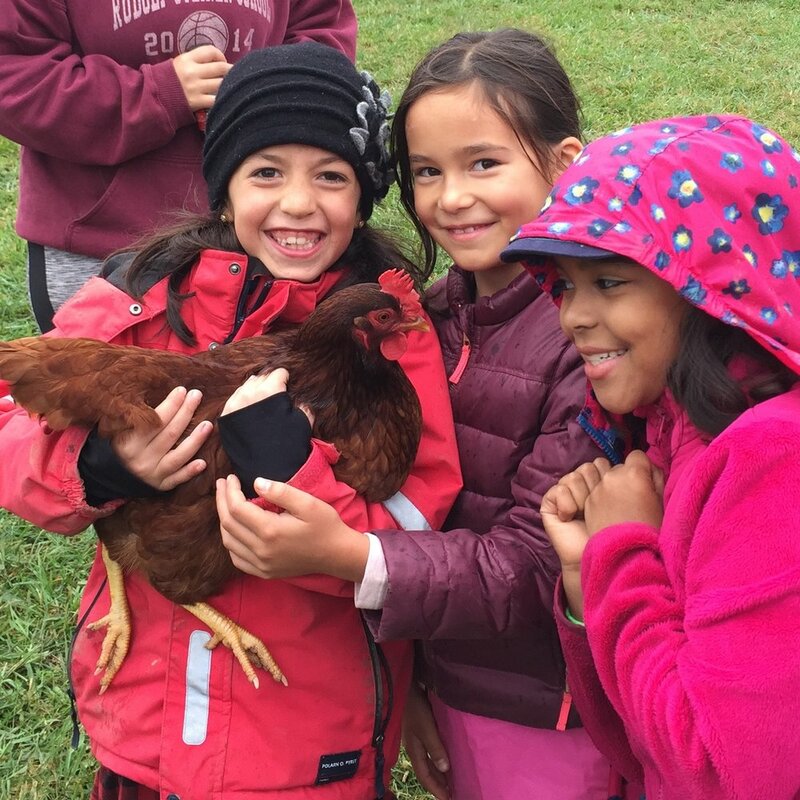 Meet the chickens, ducks and goats, and picnic in the peach orchard with your own lunch, or request a catered lunch(additional cost) by Rockland Roots, a food truck specializing in healthy, locally sourced food . Most tours last approximately one & a half hours but we can customize a visit especially for your group. Just let us know what you want!